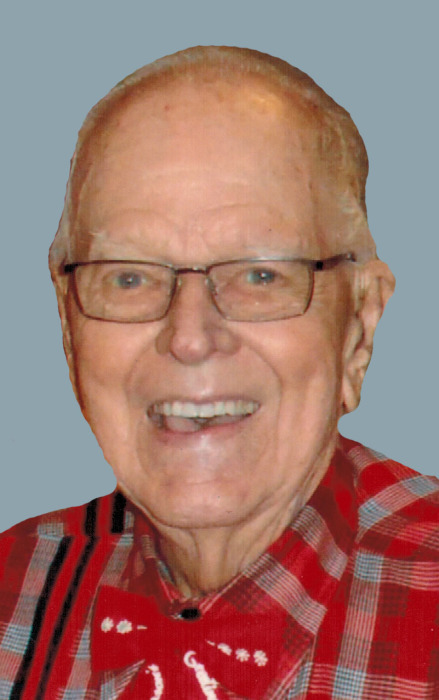 Ervin G. “Erv” Huebner, 95, of Bettendorf, passed away Friday, August 3, 2018 at the Iowa Masonic Health Facilities in Bettendorf. Per his request, there will be no services and he has donated his body to the University of Iowa. McGinnis-Chambers Funeral Home of Bettendorf is assisting the family with arrangements. Ervin was born May 12, 1923 in DeWitt, Iowa, the son of Emil & Minnie (Hoehne) Huebner and his family farmed in the Sabula, Iowa area. He served in the Army Air Corps during World War II and was a tail gunner on B-17s. He had made 33 missions over Germany during his service and was very proud to have served his country. He retired from Alcoa in 1983 and was a life-member of both the Bettendorf V.F.W. Post 9128 and the LeClaire American Legion Post 347. Erv and Elaine had wintered in their R.V. in Florida and Texas for many years. Those left to honor his memory include his wife, Elaine; his sons and daughter-in-law, Richard & Connie Huebner of Muscatine, Iowa and Russell & Mardi Huebner of LeClaire; his sister and brother-in-law, Maxine & Alvin Marburger; and nieces and nephews. Online condolences may be expressed to the family by visiting Ervin’s obituary at www.McGinnis-Chambers.com.